Making your dental appointments easier and faster. What is the Solea Dental Laser? Imagine dentistry without the shots and needles. Wouldn't you love to get a dental filling without anesthetics and needles? So would we! 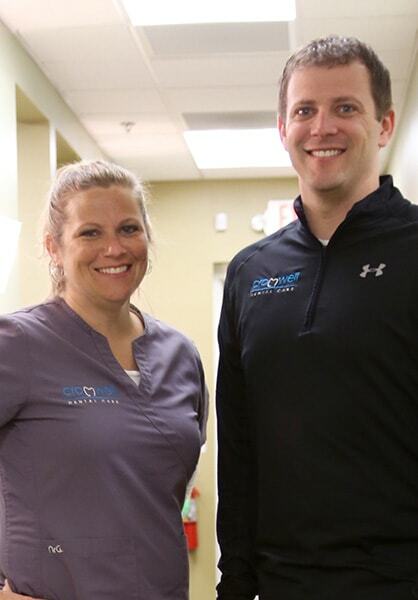 That's why we're thrilled to incorporate the Solea Dental Laser into our dental practice in Marysville, OH. This modern laser uses light energy to fix cavities in teeth without the use of local anesthetics, delivering a virtually painless experience. In turn, you'll have a more enjoyable and comfortable experience, especially if you dislike needles and shots. Why Will You Love the Solea Laser? In most cases, your Marysville dentists don't need to use anesthetics. You'll see the needle less often and won't experience the numb feeling after getting your dental fillings. The Solea laser is far less invasive than a traditional dental drill, making your healing time quicker and virtually painless. Wouldn't you love to spend less time in the dental chair? The Solea Dental Laser cuts down a fraction of your treatment time, leaving you more time to your day. Revolutionizing the way dentistry should be. Not all dental offices are created equal. There are only 650 dentists nationwide using this ground-breaking laser, and Cromwell Dental Care is one of them! This means we are in the top 1% of dentists in the country who can provide this great technology to our patients. It's just another part of our commitment to provide modern, comfortable dental care to you and your family. The Solea Dental Laser is changing the face of dentistry, and it's our drive to ensure you experience the best dental care available. What can you expect with the Solea Dental Laser? Since you're not numb, you will experience some sensation. Patients report experiencing a mild cold sensation similar to eating ice cream. You're free to stop us anytime you feel uncomfortable. After the tooth is prepped, your Marysville dentists may need to touch up the cavity preparation with a handpiece for only a few seconds. At this time, the tooth will be numb (but you won't). There is a constant mist of water, but this is no different than any other routine restorative work. After the preparation is completed, the process of filling the tooth is the same as traditional dental work. You'll walk out of our office with treatment completed in a fraction of the time vs. traditional methods with no numb feeling. Have Questions about the Solea Dental laser? There are two types of nerve fibers: pain and non-pain fibers. The light energy from the laser sends information down the non-pain fibers. This mass amount of information does not allow any information sent down the pain fibers to the brain. This will enable us to work on the tooth with no discomfort to the tooth. Most patients feel nothing at all. Some will feel a mild cold sensation that is described as a 1 or 2 out of 10. It usually never increases over this scale. Will I feel any numbness in the area? The only area that is "numb" is the tooth itself. The surrounding areas are not affected by the light energy and still have a normal feeling. Can it be used if I'm pregnant or nursing? Yes! There are no side effects on a mother or child by using this technology. If anything, it is safer as there is no need for local anesthetic. If I have a pacemaker or defibrillator, can the laser still be done on me? Yes. There is no contraindication for this technology to be used with heart monitoring. Contact us today to experience it for yourself!